Be part of the new story! There is another way to work and organize ourselves, let's share our stories and build a new one together. 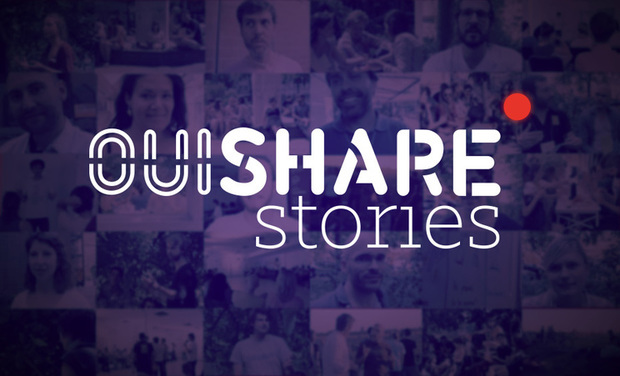 OuiShare started a couple of years ago from the premise to begin a conversation about how a more collaborative future could look like. Now the conversation has evolved and they've started a transition towards this different future. With an always growing linked community, scattered across more than 30 cities is hard to have a clear picture about who those people really are, what they believe and how they are creating this change together. To be perfectly honest, the transition is already happening, and it is going with full power ahead! There is a lot of people super excited and enthusiastic about this new phase and with hands-on really making it all happen. But imagine if we could increase awareness, making it easier to your grandma or conservative friend to understand this new world that we are transitioning into, and maybe even hoping on board to support this transformation! To us, the best way to do this is trough tangible examples and trough stories about the ones that are truly responsible for it all... The community. Through a complete immersion and dismantling of OuiShare let us discover and imagine new ways to organize ourselves, work together and make this transition happen. We will travel between the main OuiShare communities interviewing connectors, engaged members and influential thinkers to capture their beliefs, actions and ideas. 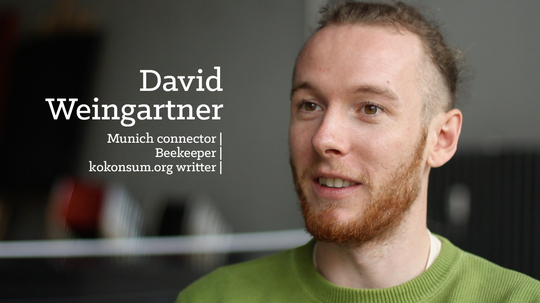 The final outcome is a 20min documentary and a 4min short version of OuiShare Stories. Starting in London Summit (03/12) recording for 45 days in the main OS cities and Launching the film in the OuiShare Fest (May). Adriano Rahde and Priscilla Anton Montello from Ao Amor also responsible for the Talking about OuiShare. We already have a Canon 60D and a Black Magic Portable, with a couple lens. What we will need is a pair of Hard drives and a lot of SD Cards and batteries for the several hours of footage, one more magic-making lens and a good mic. 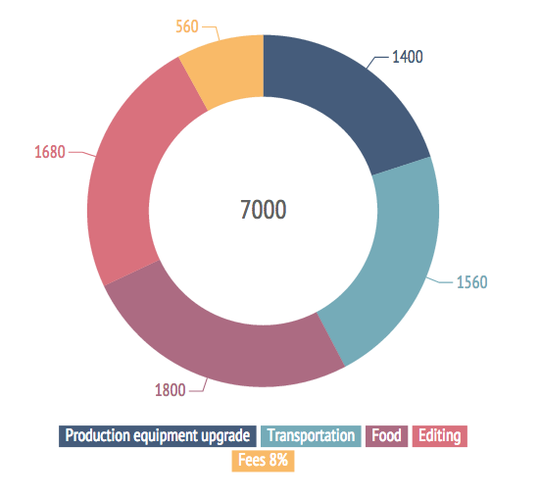 Here is actually where we count for all our work, we segmented as 'editing' because is the moment we will not be traveling any more, and it is the almost minimal amount of money that we can afford to be totally focused on the project for at least one more month after the travel. We estimates the super-squeezed minimal amount of work hours that we will dedicate to the OuiShare Stories is 300 hours each, a total of 600 hours, that means that we are evaluating our work by the amazing amount of 2,65 Euros/hour. Involve 6 trips for 2 people plus 45 days "on the road". Most of the traveling we will do by Train (go green energy!) and the average is 100 Euros per ticket, equal 1200 Euros for transportation between cities. Our optimism calculation is to spend 4 euros each per day in transportation inside the city (we intend to walk a lot) that is a total of 360 Euros. And the last is the thing that gonna keep us moving all the time, our life energy, the food. 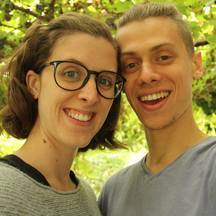 Our goal is to cook most of our meals together with our awesome hosts, but we probably will not be able to do this in every single meal, so our plan is to go by with 20 Euros for the whole day each, getting in the amount of 1800 Euros spend in nutrition for the both of us in the 45 days of traveling. Good karma and your name on the project website! A big thank you! Your name on the website and in the final credits. A super thank you! THE STORY FOUNDATION - Download the short version (4min) of the documentary, one uncut interview of your choice and 3 digital arts posters from the best quotes of the movie. +Previous rewards and a mental-hug thank you! THE STORY MAKER - A super printing A3 Poster of your choice with 1 of the 3 best quotes of the movie, and the digital version of the documentary so that you can see when and how you want it. +Previous rewards and a huge thank you! THE STORY BEARER A meeting / coffee to show what is being done and discuss the project's progress (personally if we are in one of the cities, or hangout) +Previous rewards and a hundred thanks! THE STORY ADVOCATE Access to exclusive content with extras, extended interviews and backstage. +Previous rewards and a thousand thank you! I'M PART OF THE STORY Access to the film 30 days before launch and a hangout for feedback, debate on amendments and final adjustments. + Previous rewards. Our eternal admiration and gratitude! THE STORYTELLER Your photo / logo in the movie credits and you being one of our biggest supporters. + Previous rewards. You are awesome and we can't thank you enough! THE STORY SHARER We will go to your city! (in Europe) + Previous rewards. A personal thank you and hug!